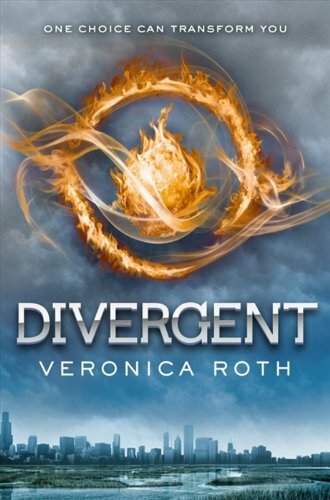 Beatrice Prior lives in a dystopian world that is divided into five factions in Chicago. She is a member of the Abnegation faction. Beatrice’s aptitude test results show that she does not fit into one specific faction. This means that Beatrice is Divergent, gifted in multiple areas. During the Choosing Ceremony, a ceremony where all sixteen year olds choose their faction that they will be a part of for the rest of their lives, Beatrice chooses a faction that is very different from Abnegation. She surprises not only her family, but also herself. In order to become part of her new faction, she must pass the initiate stage. The initiation is hard. During the initiate stage, Beatrice decides to rename herself Tris. Stage one is about skill, the physical aspect. Stage two is the emotional stage, facing your fears in simulations. The final stage, stage three, is a test of mental strength. Tris must make it through all three stages and be ranked among the top ten to become an official member of the Dauntless. Throughout the initiation, Tris faces fierce competition and struggles to identify who her real friends are. She struggles to grasp the fact that she is Divergent. Being Divergent allows her to have certain advantages and if anyone ever found out that she is Divergent, her life would be on the line. Tris, along with Four, later discovers a plot against one of the factions and finds out that being Divergent can either make or break her. Being the first book from a trilogy, Divergent was a great opening. Many great things have been said about this book and this book definitely lived up to all of those sayings. The plot gradually speeds up as the book progresses.The book starts with introducing the reader to Beatrice’s life, a world filled with control. After the first few chapters, the amount of action increased and I became absorbed into the book and could not stop. When I reached the end of the book, I wanted the story to continue. The highlight of the book was when Tris sees the plot to overthrow one of the factions in action. The overall vocabulary level of this book is perfect for a student in eighth grade. If you enjoyed the Hunger Games, this book may interest you. Anyone seventh grade and up would find this to be a perfect read. I would rate this book ten out of ten stars. 1. Who is Beatrice Prior’s sibling? 1a. Beatrice’s sibling is Caleb Prior. 2. Was Beatrice’s test results conclusive? 2a. Beatrice’s test results were inconclusive. 3. What are people who display equal aptitude for Abnegation, Dauntless, and Erudite called? 3a. Those people are Divergent. 4. How many leaders are in Dauntless? 4a. There are five leaders in Dauntless. 5. When was the first time Beatrice went to a hospital? 5a. She first went to a hospital when she was six. 6a. Zeke is Uriah’s brother. 7. What is stage one of training in Dauntless? 7a. Stage one is about skill. 8. What was Four;s rank in his initiate class? 8a. Four was ranked first. 9. What were the results of Tori’s brother’s aptitude test? 9a. His results were inconclusive. 10. What tattoo does Tris have on her right shoulder? 10a. Tris tattooed the symbol of Abnegation on her right shoulder. 11. What does tris’s mom tell her to tell Caleb to research? 11a. Their mom wants Caleb to research the simulation serum. 12. What is the age difference between Tris and Tobias? 12a. A two year gap separates Tris and Tobias. 13. How many fears does Tris have? 13a. Tris has seven fears. 14. What can Jeanine’s serum control? 14a. The serum can control what one sees and hears.